Olympic champion Usain Bolt has turned down Valletta FC's two-year offer after deciding against a move to Malta, according to a report on ESPN. Maltese football fans were buzzing with excitement this week after it was revealed that Valletta CEO Ghasston Slimen had told ESPN that the Malta champions were keen to sign the Jamaican superstar. However, their hopes seem to have all but ended yesterday when Bolt's agent Ricky Simms was quoted as saying that his client had turned down Valletta's offer. 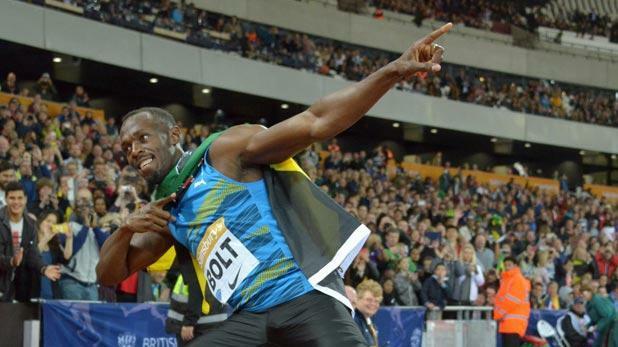 "There is a lot of interest in Usain playing football," Simms was quoted as saying. Valletta FC CEO and managing director Ghasston Slimen also confirmed Bolt's decision but refused to close the door on the 32-year-old. Slimen told ESPN: "We wish Usain Bolt all the best with his football career. The Valletta FC offer is always on the table." The news will be met by disappointment by the Valletta hierarchy who had sounded hopeful when interviewed by the Times of Malta of tying up a deal with Bolt. “We are hopeful a deal will be reached,” Ali Mohammed Saied, representing Valletta FC owners Sanban Group, said. Bolt, 32, is currently in Australia where he is currently on trial with A-League side Central Coast Mariners and had boosted his chances of winning a contract when scoring a brace during a friendly last week. Bolt's mission to win a professional football contract in Australia continues to dominates the A-League's preseason and continues ahead of the season's start on Friday. Bolt will not be able to turn out for the Mariners when they open their season at Brisbane Roar on Sunday - and most probably not until January at the earliest. The league's next registration period does not open until January 3, which could leave Bolt on the sidelines for the first half of a season tipped to be one of the most open in years.